This is third in a series of vlogging, which is something I have been meaning to update from the last time I wrote about this topic. 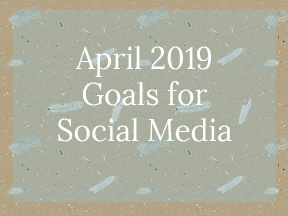 If you had not had a chance to view them, I have written about videos you should be doing to get the most views on your channel if you have on or plan on starting one for 2018. 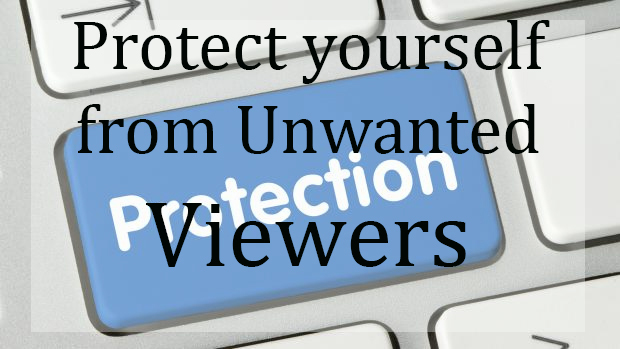 Today, I want to talk about how to protect you and your family once the viewers start watching your video channel. I talk about YouTube mainly, but this applies to any platform out there: Facebook Live (and a new feature, Facebook Watch), Instagram and IGTV, Twitter, and many others. It is important to know when your video is a one-hit wonder or when it goes viral, which I will go into more in just a bit. Truth be told, not every video you make is going to get to that point, where the moment someone mentions your name, you are elevated to that of a Justin Bieber, a Kardashian, or even a Logan Paul. Going viral is the newest thing for getting views, but not everyone has what it takes to go there. When you do, it is a good sensation when a viewer recognizes you, and according to most of the YouTubers I have mentioned in my last post, most viewers are sweet, and they only wanted to thank you for brightening up their day or giving them the information, they needed for a problem that needed to be solved. Going viral is the video that people talk about at the office (did you see that video where…). It can be politically charged, cute, or thought-provoking. It starts with something in the video that is out of the ordinary. I will get to more on that subject in a different post. Know this: once you have that video that gets people talking, be prepared to go into protection mode. My channel has only 158 viewers, so I have not gotten to that point where a viewer recognizes me. So, why am I giving you this advice? Perhaps, I may be talking you into creating a channel of your own, or you may want to see what’s out there for you. I am not in your head, but I could be. Safety may be one of your concerns, and if that is the case, keep reading. Call it a preventive measure. One of the most common things between me and popular YouTubers out there is location. We do not give out our real addresses. We give general locations of where we are, such as a city and state. Nothing else. It is for our own protection. You may have noticed that even in my blog posts, and I mention my city, I say Central Ohio, that’s it. No city. It is the same with my videos. Yes, I am in the phone book, and at one time, I had an unlisted number, until I became a business person. Now, I have a phone number that rings into the same line as my home phone, and I use my cell phone as well. I currently do, only because of a couple of things I need it for. One day, I will switch to just my mobile phone. The reason I protect myself is I do not want to wake up in the middle of the night and finding someone standing over me or come home to an empty house. If you do not mind viewers sending you mail, set up a PO box to receive that mail, especially if you are in the phone book. The PO box also protects you from having threats sent to your mailbox. Set your phone number to private if you have a landline phone or do not give out your number at all. I never post pictures, videos, and blog post while on vacation. (Although I accidentally posted family pictures on my IG (Instagram) account the evening of July 4th, I did not give the location of what city I was in). Again, for safety reasons, plus this is a good opportunity for being “Off the Grid” for a day or a week to enjoy yourself, and not let your social media accounts dictate how you want to spend your vacation or a shopping trip. When you go shopping that is for you and only you, enjoy the moment. Your viewers will understand. Take the time after your trip to edit, refine, and post as though you are on the trip now. In videos and posts before your trip, do. not mention when you are going, unless you want a person to visit the same place. I do not mind, but I also post after the fact too. Same goes if you do travel videos. This is tricky because there are some rules that you can set while at the same time, you can also protect your children as well. Anyway, after that, I uploaded it, errors and all. My sister saw the video and was furious with me. She was screaming to the point of telling me that she did not want their father, her ex-boyfriend, to see the video. I screamed back, “my camera, my channel, and I will post what I want.” This was in 2009 when YouTube did not give a care in the world about what the guidelines for this sort of stuff, as long as you post it. (Translation: Before Google bought it). I reluctantly took it down, and I thought that it was a missed opportunity for me to get views on it, but not so fast. Did I get permission? Just because they were my niece and nephew, that does not give me the right to make a video. They were family, but not my children. You have to ask these two questions: 1. Do you want/or can your children be in the video/picture? If the answer is no, move on. Do not ask why and do not beg them to give permission. 2. Can I post this on YouTube/Vimeo/Facebook Live/IGTV with you in it? If the answer is again, no, edit the scene and take the person out. Do not blur their face. A couple of family video channels I watch do not give out their last name for their own safety, but it is easy to find them on Google. I did a little experiment and looked up their YouTube channel name, and Google had the full information, including the last name. I will not give the channel name and who I looked up since they do not want it revealed. When I introduce myself on my channel, I only give my first name, but I do not give out anything else, such as my marital status, age, and as mentioned earlier, my location. I really do not care if you find out my last name or not. It is listed as part of me being a business owner, and it is needed for legal purposes. I am very proud of my last name. I am not going to tell you one way or another on giving out your last name. 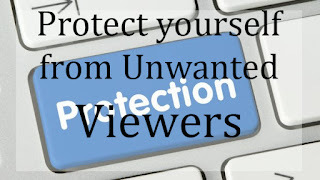 If you want protection, that is for the PO box address. Speaking of that, if you do show packages you receive on camera, you may want your address to stay anonymous. Use a sharpie or some other black marker or tape to cover up the address. It is a good idea to cover up the sender’s address as well. So, these are the tips I and other YouTubers use in order to be safe when making videos. I hope you keep these tips in mind when you create your first video. I have sprinkled little takeaway moments throughout the piece, so, there are none in this portion of the post. Remember, be safe no matter what you do in life. Do not let anyone stop your dreams or your joy. You got this. God Bless You and your family.